One of the great things about ham radio Digital Mobile Radio (DMR) repeater networks is their ability to reach lots of other users all over the world with the simple push of a button. But what if you just want to make contact with one other user with the same ease? Up until now, this has been a challenge for DMR, but no more. Introducing a new tactical talkgroup called “TAC 310”, which will facilitate near point-to-point communications using ham radio DMR networks, rather than the traditional geographically based talkgroups. This new talkgroup functions much the same as a typical IRLP reflector channel, allowing DMR users to drop in as they wish for conversations and then leave at will – all with crystal clear quality of digital audio. The “TAC 310” talkgroup is available on DMR repeaters associated with the DCI network and other participating partner networks. To access “TAC 310”, simply program your DMR radio to use timeslot 2, talkgroup 310 on any participating DMR repeater and then just key your PTT (Push-To-Talk). From that point, the “TAC 310” talkgroup will be active on your DMR repeater and you can arrange to meet other DMR users there. 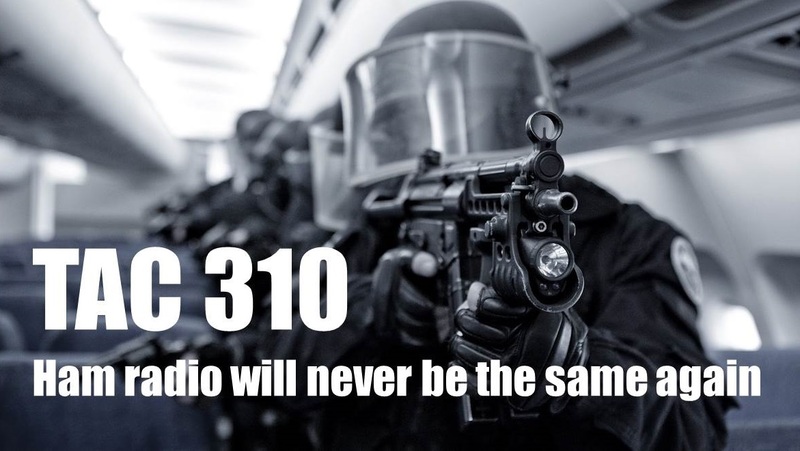 Your conversation will only be heard on other DMR repeaters that have also activated “TAC 310”, so no need to worry about being heard unnecessarily around the globe. After 10 minutes of inactivity on “TAC 310” from your local DMR repeater, the connection will automatically drop. Not sure if your DMR repeater is carrying the new “TAC 310” talkgroup? Just contact your local DMR repeater sponsor/trustee to see if this talkgroup is being supported on their system. For a full list of DMR repeaters world wide, check out the DMR Repeater Map. To find out more about “TAC 310”, check out the project discussion on the DCI website.